What Happens when two Quantum Effects Combine? In science, the Casimir effect and superconductivity are well known phenomenon and are widely studied. On their own, scientists know all that is there to study about them. But what happens when two widely known quantum effects combine with each other? Researchers at Delft University have tried doing just that. By conducting a simple experiment, using a microchip with two wires, scientists plan to observe what happens when two of the most known quantum effects combine. Scientists placed two wires in close proximity to observe the Casimir effect when they become superconducting. For us non- scientists, knowing what something like Casimir effect is not really a given. Named after Dutch scientist Hendrik Casimir with Dirk Polder, The Casimir effect was discovered. When objects are placed very close to one and another, and I mean really close like a thousandth of the diameter of your hair, then you get the Casimir effect. The minute space or vacuum between these objects pushes the objects together, giving you the Casimir effect. The same quantum effect is present with all objects, but to get it to work right, the precise space between objects is a must. 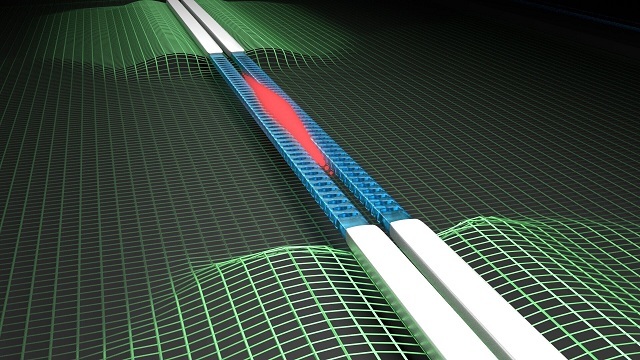 With Casimir effect, scientists come to know what that exact space in- between is. What is Superconductivity as one of the Quantum Effects? This one too was discovered by another Dutchman. Discovered by Heike Kamerlingh in the early twentieth century, superconductivity describes how certain metals like aluminium and lead conduct electricity at very low temperatures such as at cryogenic ones. The knowledge of superconductivity has revolutionized the world of physics and has led to many discoveries and inventions such as magnetically levitated trains and MRI scans. Even the mobile stations use the same quantum effect. Scientists know everything that there is to know with these quantum effects. But have never really explored what happens when both these quantum effects combine. That is until now. Casimir effect has been widely studied with many different objects but never really been used with superconductors as the objects. This was not because no one thought of it but because of technological problems of conducting an experiment at cryogenic temperatures. What is the solution to observe these two quantum effects at work? Researchers at Delft University used a unique sensor that allows them to measure forces acting between two closely spaced superconductors to observe both quantum effects at play. To observe these two quantum effects at work, scientists used a microchip which is the sensor that houses two wires spaced closely to one and another and that can be cooled to give you superconductivity. These wires have holes in the middle in which light gets trapped. Any displacement in light shows scientists the forces acting with these two quantum effects. What did scientist find with these two Quantum Effects? Scientists may not have discovered anything new as yet, but have disproved a theory with both Quantum effects. A theory states that the Casimir effect will be more because of gravitational fields bouncing off the superconductors. Scientists combining both these quantum effects, seen nothing of the sort.